NOTE: This is a sealed, vintage kit. Boxes are slightly deformed due to old shink wrap. The kit is sold "as is" with no returns. 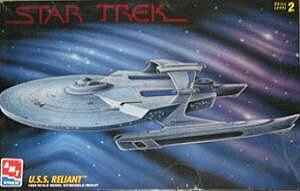 The USS Reliant from Star Trek The Wrath of Khan. This is the original AMT/Ertl version of the kit.